We receive no Government or Lottery funding. Therefore we rely entirely on the generosity of our supporters to help save the lives of hundreds of dogs each year. We rescue as many dogs as we can though we are always limited by funds. Sign up on the Easy Fundraising site and then as you shop with all your favourite retailers, we'll get a donation from the stores. · Recycles it at an authorised facility or sends it to auction (depending on its age and condition). To arrange the donation of a car, visit www.giveacar.co.uk or call 020 7736 4242, quoting West Yorkshire Dog Rescue as your preferred charity. 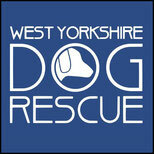 Please contact: info@westyorkshiredogrescue.co.uk for more details.